Understanding Hail Storms | The Voss Law Firm, P.C. Many homes, businesses, farms, and industries have been affected by damaging hail in this year’s storms, and—although the losses can be extreme—it isn’t all that uncommon. In fact, hail is responsible for an overwhelming number of insurance claims every year, making it one of the most costly weather events for policyholders and insurance companies alike. Despite hail being a common cause of property damage, or maybe even because it is so common, many policyholders underestimate its destructive power. However, being unprepared for a hail storm could turn into a costly mistake. No matter what kind of property you own, here are some important things to understand about hail. The National Severe Storms Laboratory (NSSL) explains that hail is created when water travels upwards inside a thunderstorm and freezes in the colder air at the top of the storm. As it travels back downwards and is blown upwards again, it melts and refreezes multiple times. Each “layer” of frozen water adds to the size of the hailstone until it is too heavy to remain in the air and falls to the ground below. Hailstones can range from the size of a pea to the size of a softball or greater. According to the NSSL, the biggest hailstone on record measured a whopping eight inches across, more than 18 inches around, and weighed nearly two pounds. How Does Hail Cause Damage? Hail causes damage as it gains weight and speed in the storm and comes crashing down on structures, vehicles, and properties. Its speed can increase with strong winds, which can also blow hail at strange angles—even nearly sideways in the worst storms. Of course, hail causes more damage the larger it is, but even small hailstones can cause property damage and losses on impact. Hail is also often accompanied by other damaging weather, such as high winds, heavy rains, and even tornados. While damages from the accompanying storm may also be covered under the insurance policies you carry, it can create confusion when claims for different types of damage must be submitted differently or to a different insurer. If Insurance Claims for Hail Damage Are Common, Why Do Policyholders Have So Many Problems? Different kinds of damage in a storm make claims confusing. As noted above, hail damage in a severe storm may be treated differently under your insurance policy than, for example, the water damage caused by a roof puncture in the same storm. This is why it becomes so important to carefully estimate and assess the losses you sustain, determine the cause of the damage, understand your coverage, and make sure claims are submitted correctly. It’s a common and costly weather event, so insurance companies often try to pay as little as possible for losses. 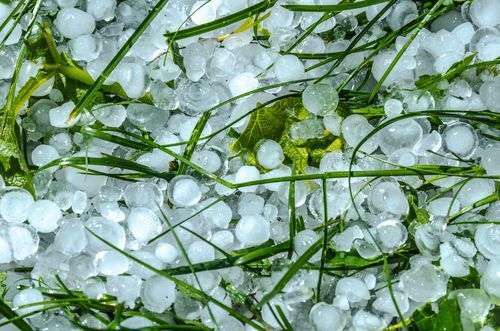 Some have called it the “war on hail,” but it’s not uncommon for insurance companies to actively attempt to reduce the amount they must pay to policyholders affected by hail storms, especially when large regions are affected. To truly maximize their hail claims, policyholders need to have a strong understanding of both their policies and their rights. There are many steps involved in maximizing a hail damage claim. From making sure you have documented all the damage suffered to hiring trustworthy contractors to deciding whether or not to accept an offer from the insurance company, there are a lot of steps—and a lot of research—involved in maximizing a hail claim. If you need help, or if you aren’t sure about your rights as a policyholder, don’t hesitate to reach out to our experienced attorneys with your questions. Do you have questions about severe hail damage or a claim for storm losses that has been underpaid or denied? For more information and a skilled assessment of your case, contact the Voss Law Firm today at 1-888-614-7730.